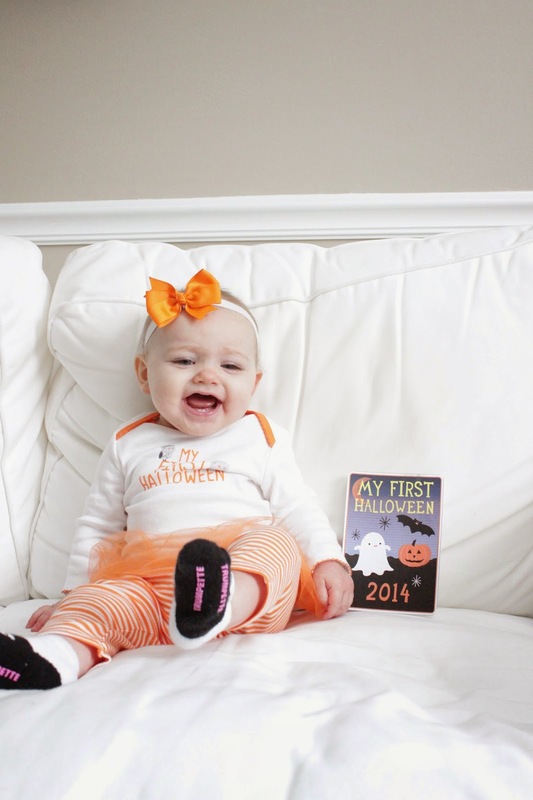 Well, a week later, I'm finally writing about Ella's first Halloween! 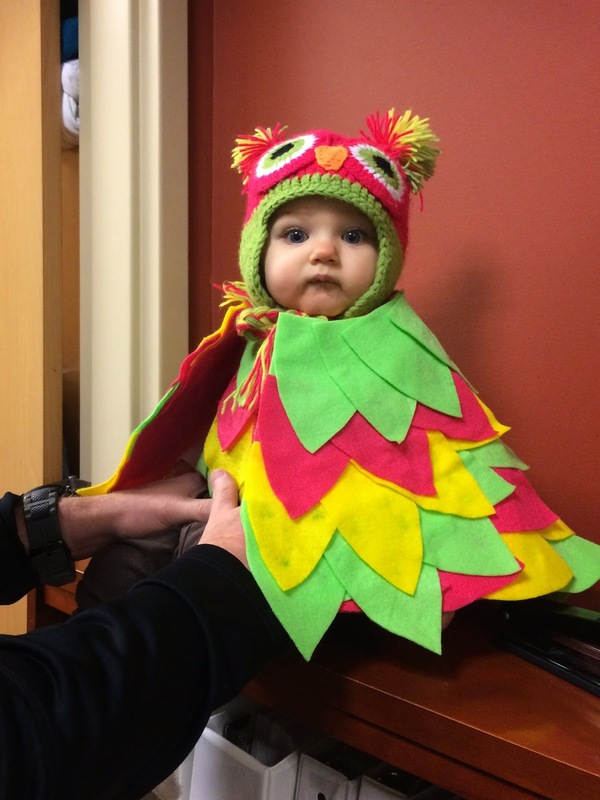 After her afternoon nap, we went uptown to go trick-or-treating at Trav's office! Ella was extremely fussy and clingy, but we just figured it was because she was in a new place, and also she hated her costume! When we got home, we sat down to watch It's the Great Pumpkin, Charlie Brown, that I had DVred from the other night. It was then that I thought Ella felt a little warm, so I decided to take her temperature. It was 100*...nothing crazy, but a little high. My mom (a nurse practitioner) said we could probably take her trick-or-treating for a little bit and she would be fine. So, before we did that, of course we had to take a few more pictures out front by the owl pumpkin! 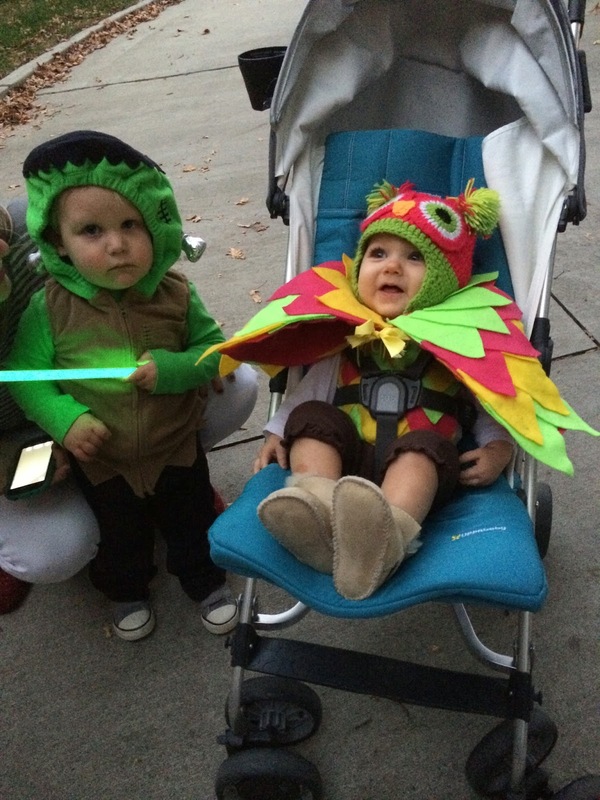 Then we met up with Ross, Amanda and Rhys to do a little trick-or-treating! Ella was not having it. But she was a trooper! Poor girl. 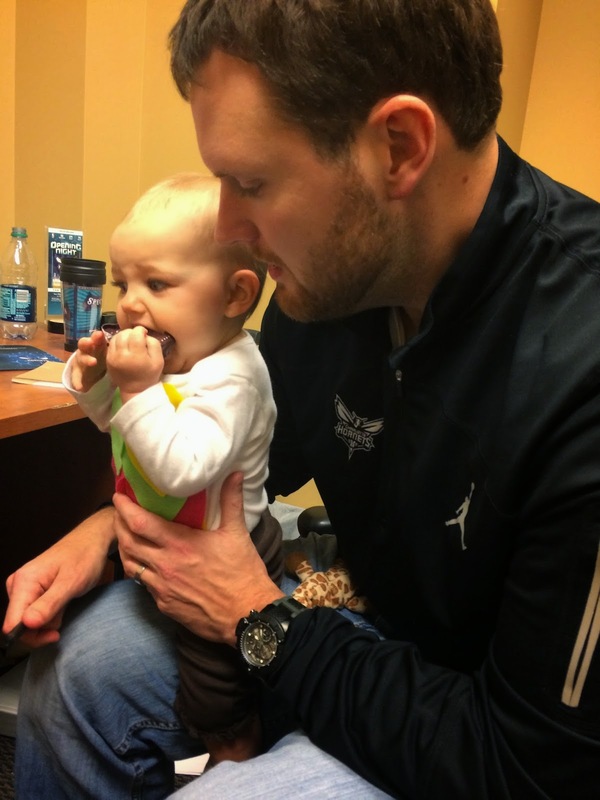 When we got home, her fever had gone up significantly, and I ended up taking her to the pediatrician the next morning. 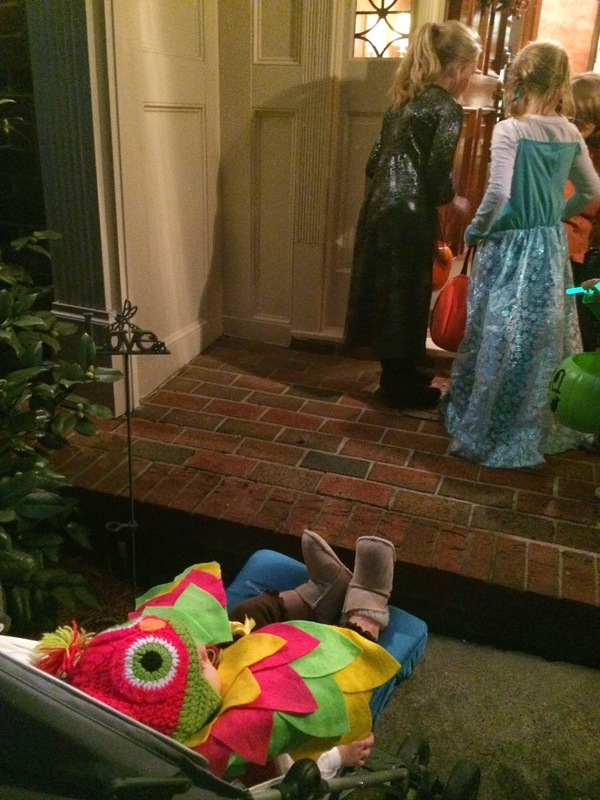 So, not exactly an ideal first Halloween, but we still managed to have a little fun! It will be so much more fun next year. Hope she's feeling better! Oh bless her little heart- sorry she wasn't feeling well. Costume is adorable!